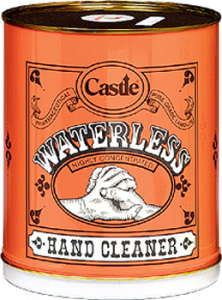 Castle® Gel Grit™ is a pumice-based waterless hand cleaner designed for a heavy duty cleaning of ground-in dirt and grease. Special conditioners have been built into this product to protect the skin when deep cleaning is necessary. Gel Grit™ is completely biodegradable. 1. 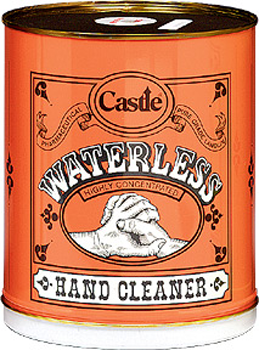 Use with or without water. 2. Apply Gel Grit™ . 4. Wipe and/or rinse hands.